Offline : At the venue during the show days. The two-day celebration of Hip-Hop and Comedy is accompanied by Bira 91 Hot Stuff, gastronomic delights at the F&B Zone, Bira 91 cocktail bar, Official Merchandise store and immersive theatre experience. The Bira 91 main stage will feature eminent names; It includes the likes of Naezy, a torchbearer of the Indian hip-hop scene, Sumit Roy a designer and musician, MoCity, an award-winning DJ, promoter and co-founder of South Asia's first online community radio - Boxout.fm; MadStarBase, made up of Ase and Neal, is a production and DJ duo who perpetually create and curate some of the freshest, most forward-thinking music; Monica Dogra, an American musician and actress of Indian origin and DJ Ishani, one of the leading Indian Hip-Hop DJs. 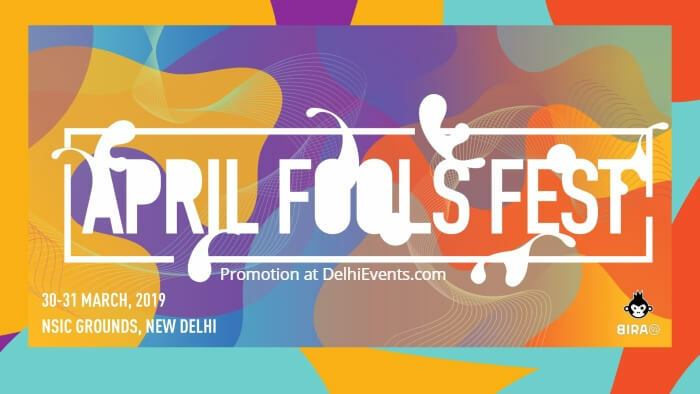 To tickle your funny bone at the Bira 91 April fools’ Fest, The comedy arena will feature Rahul Dua, Winner of NDTV Rising Stars of Comedy 2016 & Comedy Central Chuckle Hunt 2016 and finalist of Comicstaan; Engineer, MBA & now a Comedian, Prashasti Singh; Kunal Kamra, an advertising junkie by day and comedy man by night; Sejal Bhat, a former analyst at Goldman Sachs and the co-founder of Anderooni; Aishwarya Mohanraj, Mumbai based comic.